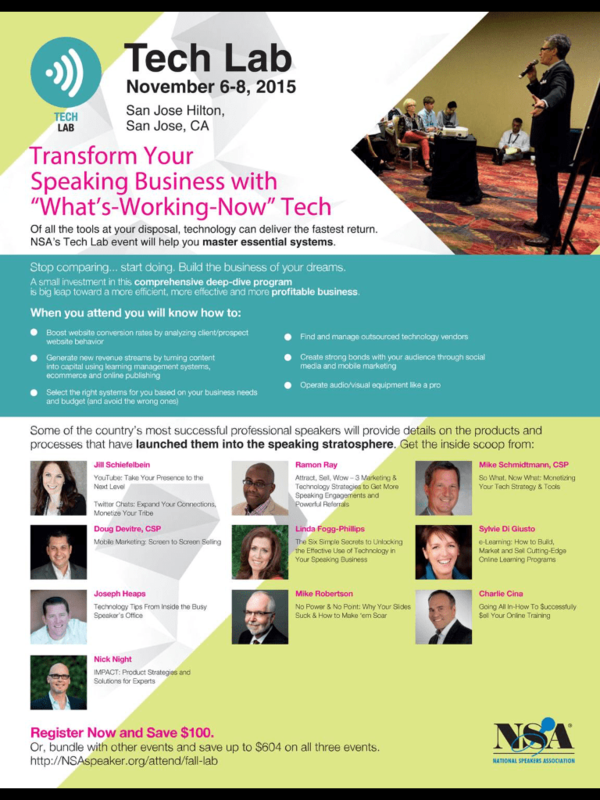 I’ll be presenting a one-hour session at the National Speakers Association’s annual Tech Lab conference, November 6-8 2015, in San Jose California. Experts are in high demand for one reason: to pass along their expertise to others. In this session, Nick Night will teach you how to create innovative products that make a deep connection with your customers and clients, leading to scalable growth, increased revenue and customer loyalty. Looking forward to meeting you this fall!